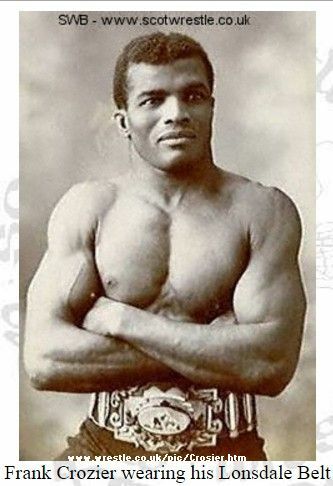 Most wrestling fans think that the first legitimate and official black Champion of the World in Catch-as-catch-can or Free style was an American. 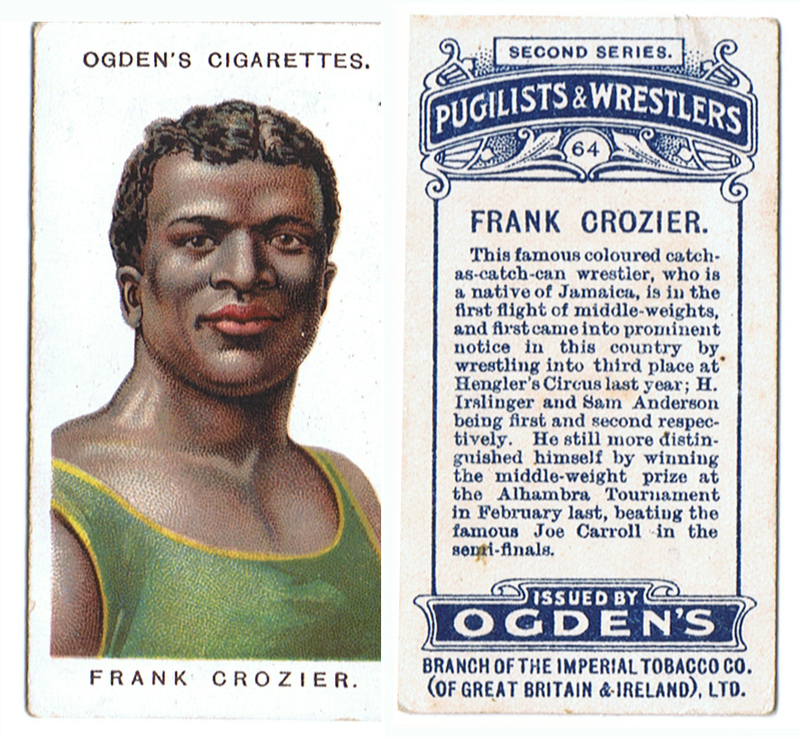 Not so, the first black champion was Frank Crozier of Scotland and Jamaica. Crozier placed 3rd in the middleweight category of the 1908 Hengler’s Circus tournament in London. Sam Anderson of America beat him in the semi-finals in an ill-tempered bout by a hotly disputed decision, but Crozier had been handicapped by an injury received in an earlier round. This tournament, which took place just after the Alhambra competition, lasted three months. Wrestling whether the continental Greco-Roman style or the English Catch-as-catch-can style was the most popular spectator sport and drew huge audiences and the names of top wrestlers were household words. At the 1909 Alhambra tournament Frank Crozier took no chances and made no mistakes to win the coveted Lonsdale Belt and the World Middleweight Championship.